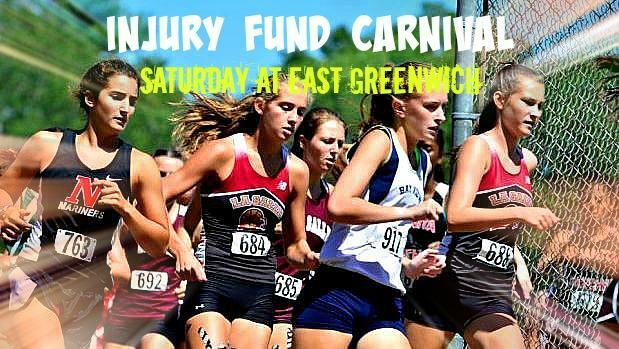 East Greenwich's brand new, state-of-the-art course has been getting rave reviews lately and on Saturday schools from throughout Rhode Island will get a chance to christen the new digs at the annual Injury Fund Carnival. The season-opening meet kicks off with the Avengers, a pre-season favorite to snare team honors at the State Meet this fall, highlighting the Whetstine Race, beginning at 9 a.m. Besides the EG boys, the race will also feature North Kingstown and its outstanding underclassmen Sam Toolin, The Skipper sophomore turned a lot of heads as a freshman last year and we're expecting a similar reaction this year. South Kingstown's Ellie Lawler, who captured the girls' crown in 2015-16, will lead the defending titlist Rebels in the Sullivan Race, set to kick off at 12:30 p.m.
Bishop Hendricken, another top team this fall, is a heavy favorite in the John Menna Race. The meet concludes with La Salle Academy's boys' and girls' teams, the returning state champions, competing in the Von Housen and Sullivan Races, respectively. Will the Rams' DJ Principe, the New Balance National Outdoor 5K champion, crack 15 minutes on the Avengers' quick 3.1-mile course?